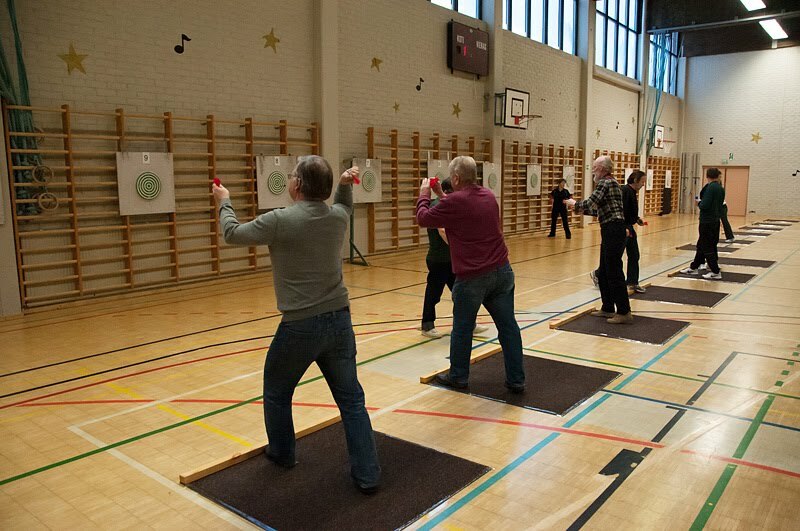 photo: Men playing Finnish darts. 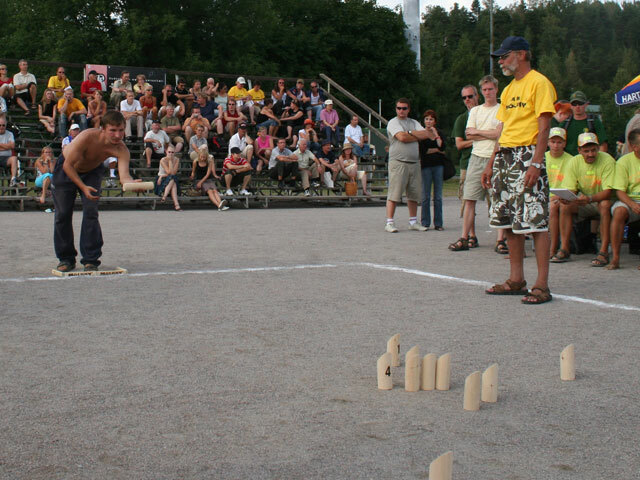 Figure: The players use a wooden pin to try and knock over wooden pins. It is a reminiscent of kyykkä. 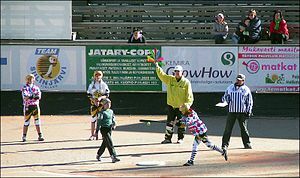 Figure: Girls playing pesäpallo in Siilinjärvi in 2006.